The Volkswagen Passat is a reliable sedan that provides drivers in Toms River, Brick, and Freehold with a safe and efficient drive. So, which trim level is right for you? Toms River Volkswagen helps you decide with this 2018 Volkswagen Passat trim level comparison. The base trim of this comfortable midsize sedan is the 2018 VW Passat S. It runs on a 2.0L TSI 4-cylinder engine that gets up to 174 horsepower. Alongside the engine there’s a 6-speed automatic transmission with Tiptronic® and Sport mode, so you can control the gear shifting without a clutch. It sits on 16-inch Carolina alloy wheels and lets other cars know when you’re changing lanes or turning with power-operated side mirrors with integrated turn signals. Inside, there’s comfortable cloth seats with room for five people. At the front you’ll find a Composition Color 5-inch touchscreen for your radio and infotainment system. It’s Bluetooth® compatible and lets you check behind you with a Rear View Camera System. The next trim is the 2018 VW Passat R-Line. It runs on the same engine, but upgrades your style both inside and out. There’s larger 19-inch Salvador alloy wheels and heated side mirrors to help melt away ice or frost. The inside now has sporty and stylish V-Tex leatherette seats, plus lots more technology. On top of driver assistance features like Adaptive Cruise Control, your infotainment system now features VW Car-Net® App-Connect. With this system, you can sync your smartphone and access Apple CarPlay™, Android Auto™, and MirrorLink®. You’ll also have easier control over your drive. With steering-wheel-mounted Tiptronic® paddle shifters, changing gears to match your drive is as easy as a flick of the wrist. The 2018 VW Passat SE continues to add features and style. You can hop in and get going faster in this trim with keyless access and push-button start. You can also let some air in during your drive with a power tilting/sliding sunroof. Once you’re inside, you’ll be in control of a classy leather-wrapped, multi-function steering wheel. Just in front of that, you’ll see a useful multi-function trip computer that can give you information on your drive like your trip time, current fuel consumption, and miles to empty. Along with the new trip computer, your infotainment system gets upgraded to a 6.3-inch touchscreen, and features even more music options with SiriusXM® Satellite Radio. You’ll also have more driver assistance features looking out for you, like a Blind Spot Monitor and Forward Collision Warning with Autonomous Emergency Braking. The Volkswagen Passat SE with Technology builds on the last trim by helping you get on the road even faster with a remote start function. You’ll also have better visibility at night with a self-dimming rearview mirror, filtering out glare from other cars. 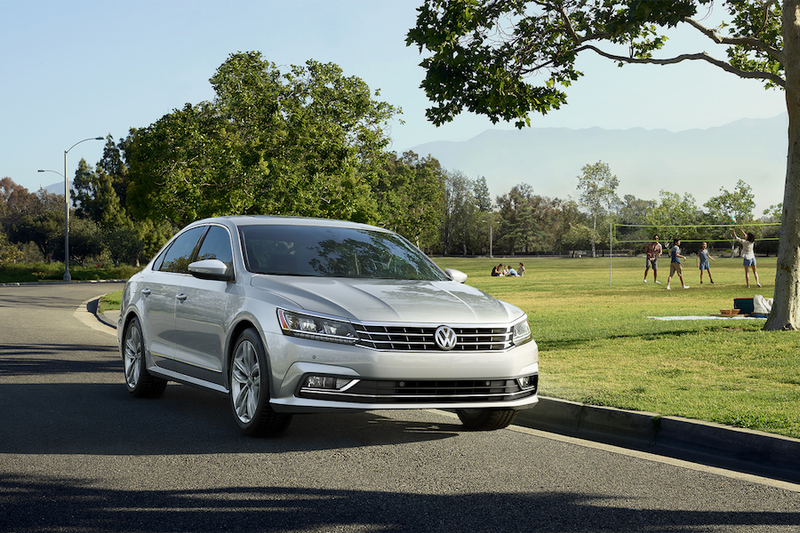 With the VW Passat SEL Premium, you’ll have improved visibility with LED headlights and rain-sensing wipers. You’ll also get convenient technology on the back of the car, too, like a hands-free Easy Open trunk for more convenient loading. The interior is a little more refined on this trim with leather seats, plus you’ll get improved sound quality for all your music and navigation with a Fender® Premium Audio System. The next trim gives us a new, larger engine. 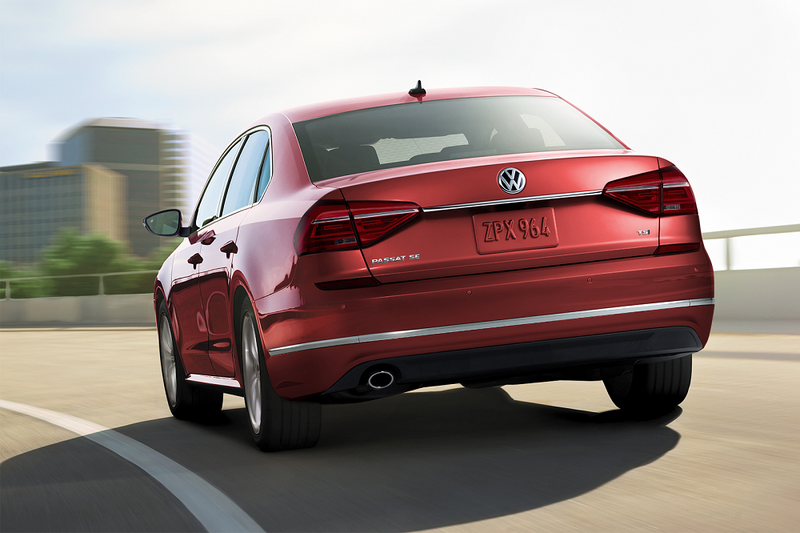 The Volkswagen Passat V6 SEL Premium runs on a 3.6L V6 engine that gets up to 280 horsepower. This gives you a sporty and exciting drive. You and your passengers will also be in for a more comfortable one with both front and rear heated seats. The final trim is the sporty 2018 VW Passat V6 GT. It sits on bold, stylish 19-inch Tornado alloy wheels and features black side mirror caps, a rear spoiler, and distinct GT badges. 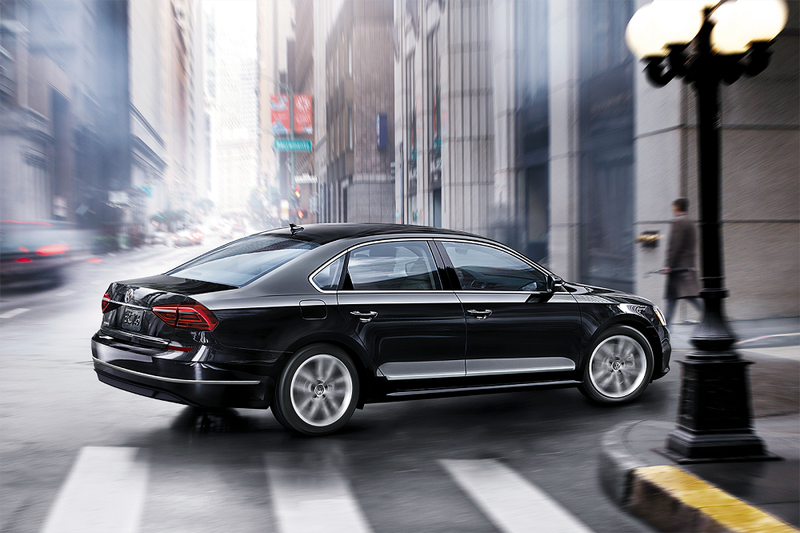 Visit Toms River Volkswagen to test drive the Volkswagen Passat. Each trim offers lots of great features to drivers in Toms River, Brick, and Freehold. To learn more about this 2018 Volkswagen Passat trim level comparison, contact us or visit our dealership.